Matthew Apgar - mapgar@shawmedia.com Grace Gajewski (left) and head coach Karen Wiley work on ball control during women's basketball practice at McHenry County College on Monday, March 5, 2018 in Crystal Lake. The MCC Scots will play in the Region IV championship game against Bryant & Stratton at Waubonsee Community College in Sugar Grove on March 10. 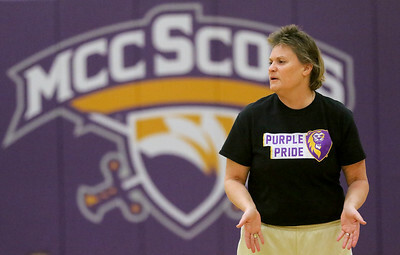 Matthew Apgar - mapgar@shawmedia.com Head coach Karen Wiley talks to the Scots during women's basketball practice at McHenry County College on Monday, March 5, 2018 in Crystal Lake. The MCC Scots will play in the Region IV championship game against Bryant & Stratton at Waubonsee Community College in Sugar Grove on March 10. 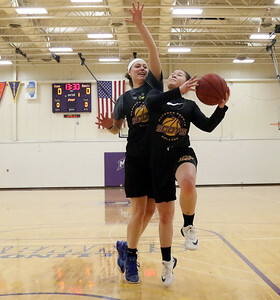 Matthew Apgar - mapgar@shawmedia.com Lacey Gardner (left) and McKaylie Krey work on drills during women's basketball practice at McHenry County College on Monday, March 5, 2018 in Crystal Lake. The MCC Scots will play in the Region IV championship game against Bryant & Stratton at Waubonsee Community College in Sugar Grove on March 10. 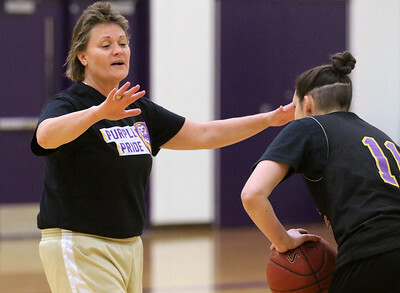 Matthew Apgar - mapgar@shawmedia.com Head coach Karen Wiley (left) goes over defensive drills with Grace Gajewski and other players during women's basketball practice at McHenry County College on Monday, March 5, 2018 in Crystal Lake. The MCC Scots will play in the Region IV championship game against Bryant & Stratton at Waubonsee Community College in Sugar Grove on March 10. 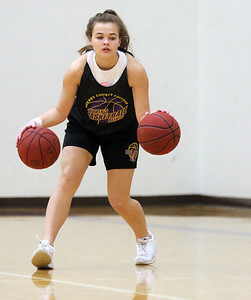 Matthew Apgar - mapgar@shawmedia.com Kaleigh Johnson practices ball control during women's basketball practice at McHenry County College on Monday, March 5, 2018 in Crystal Lake. The MCC Scots will play in the Region IV championship game against Bryant & Stratton at Waubonsee Community College in Sugar Grove on March 10. 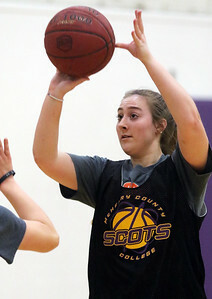 Matthew Apgar - mapgar@shawmedia.com Lacey Gardner practices ball control during women's basketball practice at McHenry County College on Monday, March 5, 2018 in Crystal Lake. The MCC Scots will play in the Region IV championship game against Bryant & Stratton at Waubonsee Community College in Sugar Grove on March 10. 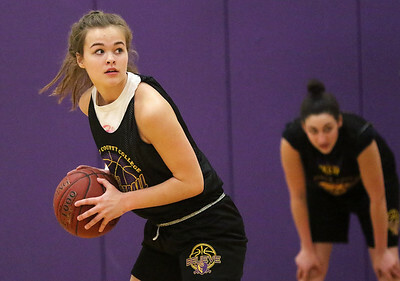 Matthew Apgar - mapgar@shawmedia.com Kaleigh Johnson looks for a shot during women's basketball practice at McHenry County College on Monday, March 5, 2018 in Crystal Lake. The MCC Scots will play in the Region IV championship game against Bryant & Stratton at Waubonsee Community College in Sugar Grove on March 10. 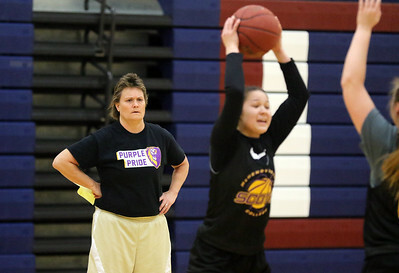 Matthew Apgar - mapgar@shawmedia.com Head coach Karen Wiley (left) watches as McKaylie Krey works on passing during women's basketball practice at McHenry County College on Monday, March 5, 2018 in Crystal Lake. The MCC Scots will play in the Region IV championship game against Bryant & Stratton at Waubonsee Community College in Sugar Grove on March 10. 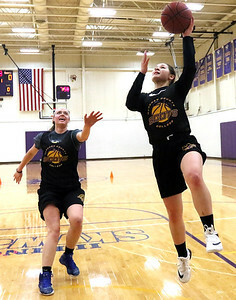 Matthew Apgar - mapgar@shawmedia.com Grace Gajewski makes a pass during women's basketball practice at McHenry County College on Monday, March 5, 2018 in Crystal Lake. The MCC Scots will play in the Region IV championship game against Bryant & Stratton at Waubonsee Community College in Sugar Grove on March 10. Matthew Apgar - mapgar@shawmedia.com Lacey Gardner (left) defends against McKaylie Krey on a layup during women's basketball practice at McHenry County College on Monday, March 5, 2018 in Crystal Lake. The MCC Scots will play in the Region IV championship game against Bryant & Stratton at Waubonsee Community College in Sugar Grove on March 10. 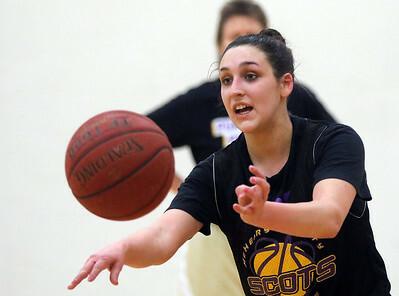 Matthew Apgar - mapgar@shawmedia.com Kaleigh Johnson looks for a pass during women's basketball practice at McHenry County College on Monday, March 5, 2018 in Crystal Lake. The MCC Scots will play in the Region IV championship game against Bryant & Stratton at Waubonsee Community College in Sugar Grove on March 10. Matthew Apgar - mapgar@shawmedia.com McKaylie Key takes a shot during women's basketball practice at McHenry County College on Monday, March 5, 2018 in Crystal Lake. The MCC Scots will play in the Region IV championship game against Bryant & Stratton at Waubonsee Community College in Sugar Grove on March 10. 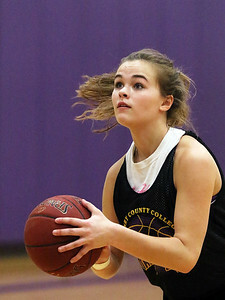 Matthew Apgar - mapgar@shawmedia.com Maddie Kaempf takes a shot during women's basketball practice at McHenry County College on Monday, March 5, 2018 in Crystal Lake. The MCC Scots will play in the Region IV championship game against Bryant & Stratton at Waubonsee Community College in Sugar Grove on March 10. 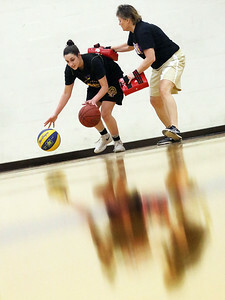 Grace Gajewski (left) and head coach Karen Wiley work on ball control during women's basketball practice at McHenry County College on Monday, March 5, 2018 in Crystal Lake. 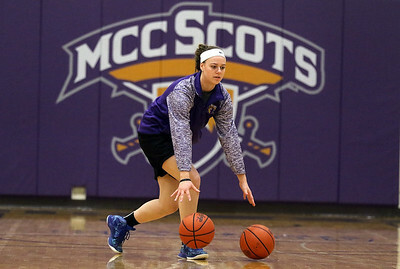 The MCC Scots will play in the Region IV championship game against Bryant & Stratton at Waubonsee Community College in Sugar Grove on March 10.